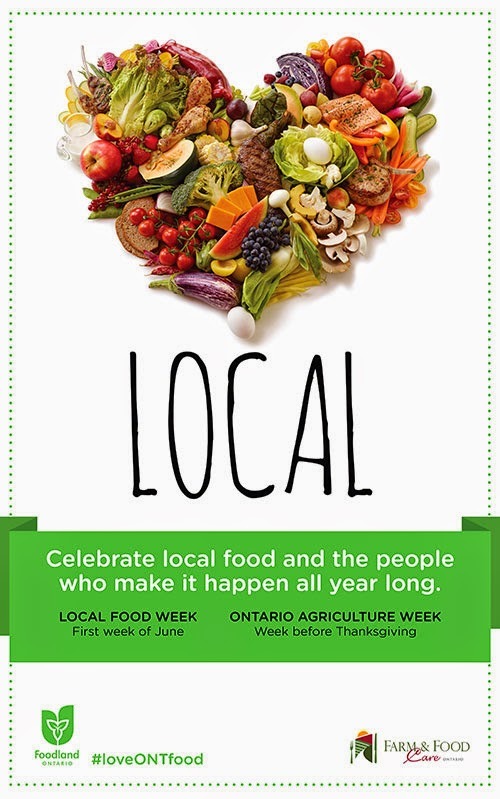 As we head into Ontario’s Local Food Week, beginning Monday, we’re sharing some of our favourite recipes that feature local ingredients. Toronto-area blogger Heather of The Tasty Gardener was kind enough her to share her thoughts on what local means to her. Be sure to try her recipe below for mouthwatering Beef and Mushroom Taquitos, made using fresh crimini mushrooms and locally sourced Ontario Beef. “Eating and buying local for me means I know where my food is coming from. I know it hasn’t sat on a truck for days driving across the country. I know that it was been grown under the same environmental conditions that I enjoy every time I walk out my front door. As a food blogger I have been fortunate enough to have met many local growers whether it’s been visiting their farms or talking with them at my neighbourhood farmer’s market. With my background as a trained horticulturist I can understand the passion each one of these local growers have for the food they produce and their importance in our society. Add some Mexican flavours to your weekend entertaining with these Beef and Mushroom Taquitos with Chili Lime Avocado Crema. 1. In a food processor chop the mushroom until fine. 2. In a large skillet over medium high heat brown the ground beef and chopped onion together until beef is cooked through and liquid is almost gone from the mushrooms. Make sure to break up the beef into small pieces while cooking. 3. In the same food processor pulse together the red pepper, onion, jalapeno, garlic and tomatoes. 4. Stir the vegetable puree into the beef and mushroom mixture and cook until all liquid is evaporated and vegetable are heated through. Season by taste with salt and pepper. 5. Remove filling from the pan and into a large bowl. Allow to cool for 10-15 minutes. Once cool stir in the cheese. 6. Preheat oven to 350 degrees F and line a cookie sheet with parchment paper. 7. In a small skillet over medium heat add about 1/2 inch of either chicken stock or oil. 8. Working one taquito at a time place a tortilla into the hot liquid for no more than a couple seconds. This is to make them pliable for rolling. 10.Repeat one tortilla at a time until all the filling has been used. Based on how full you fill them you will end up with anywhere from 18-24 taquitos. 11. Place in preheated oven and bake for 15-20 or until browned. 1. In your food processor blend together the avocado, sour cream, lime juice and green chilis. Season by taste with salt and pepper.